The 2017 Hawks Classic annual basketball tournament was hosted by Pincher Creek's Matthew Halton High School. A total of 16 Boys and Girls SV teams played a total 24 games at the Matthew Halton and St. Michael's gymnasiums over the course of two days, February 24 and 25. The final games were barnburners. Pincher Creek's Dragons Boys upset the Livingstone Sabres 52-47 to earn Gold. Silver for the Sabres. Kainai's Lady Warriors defeated Hanna's Hawks 53-45 to earn Gold. Silver for Hanna. Halton's Hawks Girls defeated St. Michael's Dragons 62-59 for Girls Bronze. 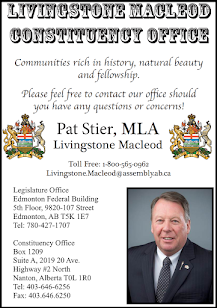 Nanton's J.T. Foster Knights defeated the Halton Hawks 89-69 for Boys Bronze. Top Dragons scorers were Natalie Krizan (12 pts), Olivia Citrigno (10 pts), and Sydney Bruder (9 pts). Bree Yellowhorn was Dragons Player of the Game. Ashley Vigna was top scorer for the Pandas (10 pts). Haylee Williams was Player of the Game for the Pandas. Top Panthers scorers were Colton Miskulin and Conner Gunn with 1o points each. Colton Miskulin was Player of the Game for the Panthers. Top scorers for the Knights were John Solatorio and Tyler Jones with 18 points each, and Josh Straus (17 pts). Matthan Bonk was Player of the Game for the Knights. Isabelle Ntumba was top scorer (21 pts) and Player of the Game for Ecole de la Rose. Natalie Herkendaal was also a top scorer for Ecole de la Rose with 15 points. Darcia Little Bear was top scorer (19 pts) and Player of the Game for the Lady Warriors. Jobert Cruz was top scorer for Taber with 15 points. Herman Wiebe was Player of the Game for Taber. Top scorers for the Dragons were Mitchell Zoratti (18 pts), Calvin Cooley (14 pts), and Tyler Gerber (10 pts). Calvin Cooley was Player of the Game for the Dragons. Cassidy Nathe was top scorer for the Flyers with 8 points. Tiegan Trotter scored 7 points for the Flyers and was named Player of the Game. Top scorers for the Hawks were Lucy Gerrand (21 pts) and Alisha Stevenson (10 pts). Beyonce Crowshoe was Player of the Game for the Hawks. Top scorer for Ecole de la Rose Sauvage Couguars was Lambert Guay with 10 points. Player of the Game for Ecole de la Rose was Kyle Espiritu. Sabres top scorers were Brady Douglas (19 pts) and Jonathan Erickson (15 pts). Ty Anctil was Player of the Games for the Sabres. Leila Pacleb was top scorer (10 pts) and Player of the Game for Taber. Yop scorers for Hanna were Katie Davies (33 pts), Sarah Palmer (12 pts), and Mackenzie Dadson (12 pts). Dadson was Hanna's Player of the Game. Top Flyers scorer was Ben Craig (12 pts). Darian Atwood was Player of the Game for the Flyers. Top scorers for the Hawks were Jack Mitchell (19 pts) and Jarret Plante (11 pts). Player of the Game for the Hawks was Conner Ney. Top scorer for the Pandas was Ashley Vigna (8 pts). Addy Halibert was Player of the Game for the Pandas. Top scorers from Ecole de la Rose were Natalie Herkendaal (16 pts) and Ange Irankeje (10 pts). Irankeje was also Player of the Game for Ecole de la Rose. Top scorer for the Panthers was Conner Gunn with 19 points. Ethan Wall was Player of the Game for the Panthers. Top scorers for Taber were Jobert Cruz (21 pts), Herman Wiebe (18 pts), Donovan Passey (10 pts), and Mason Muller (10 pts). Muller was Taber's Player of the Game. Tiegan Trotter was top scorer for the Flyers (8 pts). Haley Cervo was Player of the Game for the Flyers. Top scorers for the Auroras were Leila Pacleb (11 pts) and Mirthe Kleinjan (10 pts). Emily Ginther was Player of the Game for the Auroras. Ben Craig was top scorer (9 pts) and Player of the Game for the Flyers. Top scorers for Ecole de la Rose were Kyle Espiritu (25 pts), Lambert Guay (15 pts), Milan Jalad (10 pts), and Charles Breton (10 pts). Lambert Guay was Player of the Game for Ecole de la Rose. Sydney Bruder was top scorer (7 pts) and Player of the Game for the Dragons. 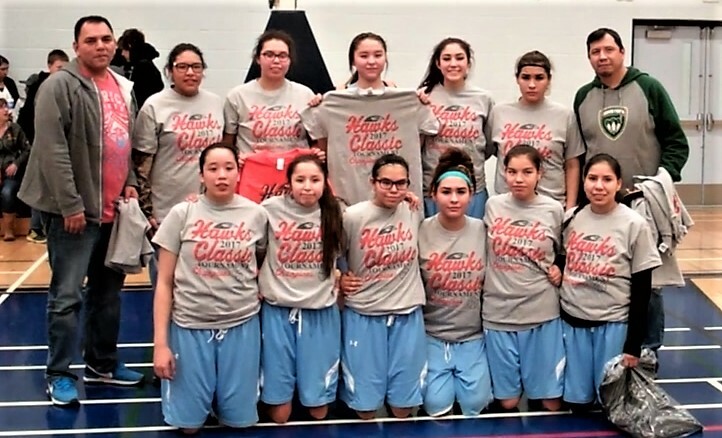 Kainai's top scorers were Jaidii Russell-Delaney and Maggie Russell with 10 points each. Tenaya Good Striker was Kainai's Player of the Game. Halton Hawks top scorers were Leigh Erickson (12 pts) and Alisha Stevenson (11 pts). Stevenson was also Halton's Player of the Game. Hanna's top scorers were Katie Davies (21 pts) and Saige Hall (20 pts). Hall was also Hanna's Player of the Game. Top scorers for the Knights were John Solatorio (19 pts), Ben Wallace (16 pts), Nelson O'Donnell (11 pts), and Tyler Jones (10 pts). Ben Wallace was Player of the Game for the Knights. Top scorers for the Dragons were Mitchell Zoratti (29 pts), Calvin Cooley (21 pts), and Dexter Obrique (11 pts). Obrique was also Player of the Game for the Dragons. Top scorers for the Hawks were Deloy Mackenzie and Jack Mitchell with 9 points each. Hunter Austring was Player of the Game for the Hawks. Top scorers for the Sabres were Ty Antcil (16 pts), Jonathan Erickson (16 pts), and Brock Gatzky (10 pts). Elisha Lowry was Player of the Game for the Sabres. Leila Pacleb was top scorer for the Celtics with 13 points and was named a Tournament All-Star. Mirthe Kleinjan was Player of the Game for the Celtics. Mirthe Kleinjan was top scorer (18 pts) for Ecole de la Rose and was named a Tournament All-Star. Other Ecole de la Rose top scorers were Ange Irankeje (17 pts), and Isabelle Ntumba (10 pts). Irankeje was also named Ecole de la Rose Player of the Game. Haylee Williams was top scorer for the Pandas with 12 points. Sam Williams was Player of the Game for the Pandas, Addy Halibert of the Pandas was named a Tournament All-Star. Top scorers for the Flyers were Tiegan Trotter (15 pts). Haley Cervo (10 pts), and Cassidy Nathe (10 pts). Nathe was also Player of the Game for the Flyers. Flyer Selena Young Pine was name a Tournament All-Star. Top scorers for Ecole de la Rose were Kyle Espiritu (17 pts) and Lambert Guay (10 pts). Olivier Sindayizeruka was Player of the Game for Ecole de la Rose. Milan Jilad of Ecole de la Rose was named a Tournament All-Star. Top scorers for the Celtics were Carl Rodrigo (16 pts), Jobert Cruz (15 pts), and Joey Giesbrecht (13 pts). Giesbrecht was also named a Player of the Game. Jobert Cruz was named a Tournament All-Star. Ben Craig was top scorer (18 pts) and Tournament All-Star for the Flyers. Isaiah North Piegan was Player of the Game for the Flyers. Conner Gunn was top scorer (12 pts) and Tournament All-Star for the Panthers. Logan Wall was Player of the Game for the Panthers. Top scorers for the Hawks were Jack Mitchell (23 pts), Jarret Plante (15 pts), Ryan Plante (15 pts), and Conner Ney (10 pts). Mitchell was named a Player of the Game. Ryan Plante was named a Tournament All-Star. An incredibly close competition for Girls third place featured hometown rivals St. Michael's Dragons and the Halton Hawks. The Hawks had a one point lead at the half, the Dragons had a one point lead at the end of the third quarter. The Hawks were ahead 59-58 with 27 seconds remaining in the game but ultimately won it 62-59. A classic competition. Top scorers for the Dragons were Bree Yellow Horn (15 pts) and Natalie Krizan (14 pts). Krizan was named a Player of the Game. Dragon Olivia Citrigno was named a Tournament All-Star. Top scorers for the Hawks were Leigh Erickson (16 pts) and Beyonce Crowshoe (15 pts). Emma Dietze was Player of the Game for the Hawks. Lucy Gerrand was named Tournament All-Star for the Hawks. The Girls Final was a dramatic game between two well matched teams. Kainai's Lady Warriors won all but the third quarter, but Hanna's J.C. Charyk Hawks made them work for their win throughout. Tashena Hart was Player of the Game for Hanna. Hanna's top scorer was Katie Davies (13 pts). Davis and Sarah Palmer were named as Tournament All - Stars. Top scorers for Kainai were Jaidii Russell-Delaney (14 pts), Taylor Day Chief (11 pts), and Darcia Little Bear (10 pts). Day Chief was named a Player of the Game. Maggie Russell was named a Tournament All-Star. Kainai's Jaidii Russell-Delaney was named the Female MVP. The Matthew Halton gym was packed with enthusiastic fans for the much anticipated showdown between the Dragons and the Sabres in the Boys final. The Sabres are ranked #1 in the Province, and the Dragons had recently climbed to the #10 spot. The score was close for most of this contest. The Sabres dominated the first quarter, and the Dragons pulled out all the stops in the final quarter to come from behind and win the game, and tournament Gold. The Dragons were ahead 47-49 going into the last minute of the game. That's indicative of how closely matched these two teams are. Top scorers for the Sabres were Jonathan Erickson (15 pts), Brady Douglas (12 pts), and Ty Antcil (11 pts). Sabre Quinlan Connelly-Engel was named a Player of the Game. Erickson and Douglas were named as Tournament All=Stars. Top scorers for the Dragons were Mitchell Zoratti (14 pts), Calvin Cooley (11 pts), and Michael Svab (10 pts). Taite Jessen was Player of the Game for the Dragons. Tyler Gerber was named a Tournament All-Star. Mitchell Zoratti of the Dragons was named the Male MVP.